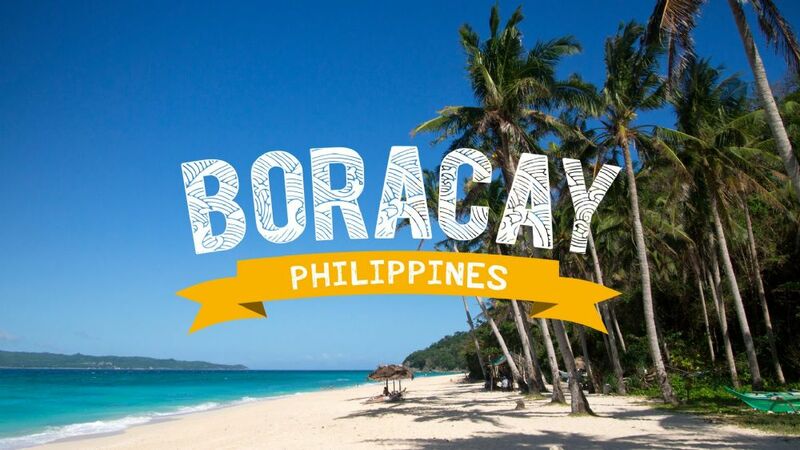 BORACAY, the already globally famous beach paradise in the Philippines has made it to the world news once again last year when President Rodrigo Duterte closed the island to the public for rehabilitation. The 6-month closure order gained mixed reactions from the public and a lot of speculations but has proven to be a most necessary activity to help prevent the island from becoming a cesspool. Boracay is the gem of the province of Aklan, located in the municipality of Malay and is presently accessible via its Caticlan Jetty Port. The whole island is divided into three barangay – Balabag, Manoc-Manoc and Yapak. Boracay is one of the most popular tourist destination in the Philippines, famous for its white sandy beaches and the beach lifestyle. This makes the island a very hot investment prospect, then and now, especially to gigantic corporations. There were many movements in the past that suggests for the urbanization of Boracay and one of the most recent is a proposal submitted by San Miguel Corporation to connect Caticlan and Boracay via a 3-billion bridge project. Aside from making the island more accessible, the project is said to be a viable solution to the island’s fresh water supply, waste and sewage problems. This is the question raised by many Aklanon and particularly Teodorico “Nonong” Haresco Jr., who is determined to oppose any plans for the urbanization of the island of Boracay. 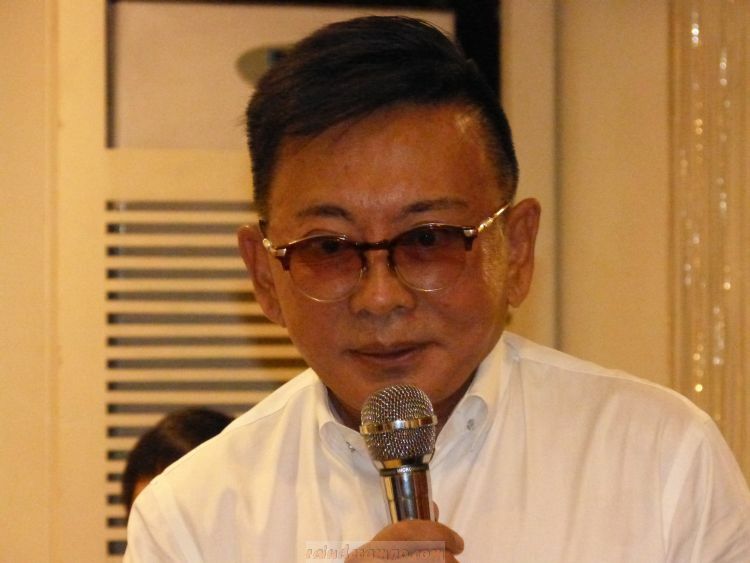 Haresco who will be running for a congress seat in this year’s election representing the 2nd district of Aklan is keen on monitoring any move that will kill the so-called island beach paradise of the Philippines brought by big businessmen or “Taipans” as he calls them, who are only out to make a profit in disguise of progress. 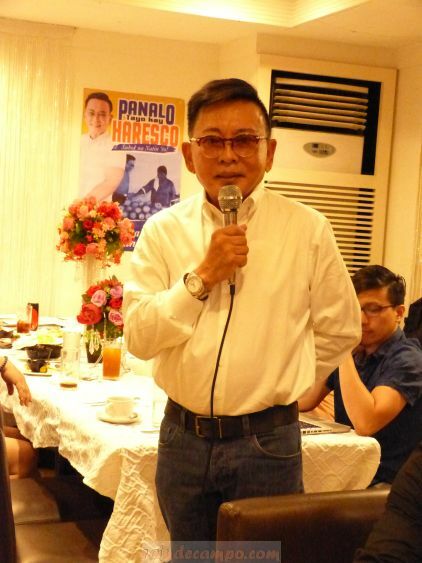 A proud Ilonggo and a staunch supporter of the microenterprise industry, Haresco served as representative of the then lone district of Aklan from 2013 to 2016. He graduated from De La Salle University with honors in Economics and in Accounting. He finished his masteral degree in International Economics at the McGill University in Canada. He started the Haresco Trade Specialists Co. and Silver Thread Inc., which exports local capiz shells to Europe. He was recognized as the Deutsche Bank banker of the Year in 2005. A firm believer that microenterprise has the ability to uplift the lives of every Filipinos, Haresco during his college days sold shrimps in Manila which he would purchase from Aklan. His little startup turned into a 50-hectare prawn-farming venture catering to big restaurants. Hardwork is always rewarded said Haresco. Sharing his personal experience as an entrepreneur, he encourages the people of Aklan to put up their own small business ventures – as he once did when he was younger – to make them self-sustaining. This initiative will eventually provide more jobs for others in their communities and help in the development of its socio-economic sector – a vision that Haresco continues to aspire for Aklan. A vision that might not come true for the three Barangays in the island of Boracay once the bridge project is approved – putting more money in the pockets of big businessmen and killing a chance for microenterpise to prosper in the process. Speaking of bridges, Haresco is the one who conceptualize the President’s Bridge Programme (PBP) as a parallel intervention to regular government infrastructure programmes. A successful re-engineering model in the Philippines that is now being duplicated in other countries like Sri Lanka, Papua New Guinea, Cambodia, Siberia, and in other parts of Asia. Haresco is also the principal developer of a nationwide scholarship fund for the children of slain journalists and has put 34 young scholars through school since 2007. If elected, Nonong Haresco said that he’ll focus all his attention to a simple 4-point program for Aklan: Kalusugan (Health), Edukasyon (Education), Trabaho (Jobs) and Imprastraktura (Infrastructure).